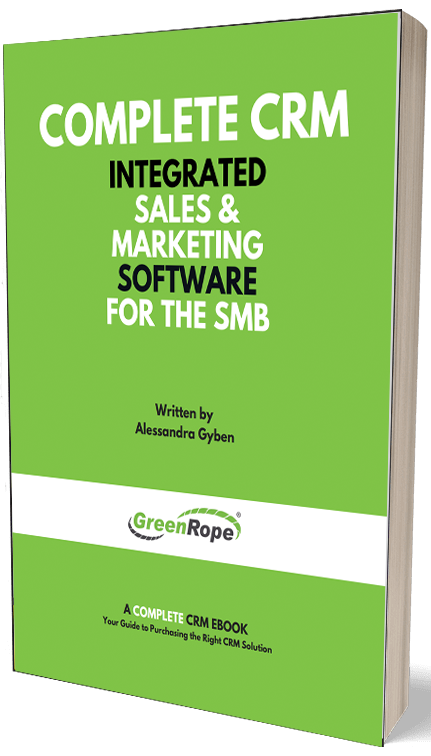 Blog and News | GreenRope :: Is your #Martech stack getting too high? Ask anyone in the ‘industry’ and they’ll give you at least 10 different names for the must have #martech platforms this month. It’s overwhelming. The marketing software industry has skyrocketed in the past few years and shows no signs of slowing down. However, at what point is it too much of a good thing? As budgets for CMOs surpass those of IT departments, the obvious benefit for marketing software is there, but have we become too obsessed with our technology over our results and most importantly, our relationships with our customers? We implement marketing technology to help us generate leads, manage our campaigns, execute our campaigns, analytics and reporting, social media, content, email marketing, marketing automation, online ads, graphics, print campaigns, and the list goes on and on. If you had a platform for each one of these tasks alone, you are using at least 11 different vendors. Sounds crazy, right? However, it never surprises me anymore when I speak to a client who has a number of different disparate systems that they either are not using correctly, or not using at all. This is the sad truth for many marketers. We invest in platforms with the promise the they will give us everything we need and more. However, over 80% of the time, these implementations end with a lot of broken promises, not to mention depleted budgets. So, why do we put ourselves through this? Because people tell us we have to. However, if we spent more time understanding our true needs as marketers, we wouldn’t be distracted by all of the new and shiny toys presented to us day in and day out. It is not about having the best in class everything, it’s about having something that works for you, something that helps you get your job done efficiently, and most importantly, done better. Just like most things in life, too much of a good thing, is just too much. Software is no different. When you start implementing multiple platforms, you make room for inaccuracies, mistakes, and inefficiencies in your strategies and process. Now, if marketing technology is supposed to make us more productive, how can it lead to inefficiencies? Quite easily as a matter of fact. Data, data, data. It’s all about that data. Good data means you can actually use that data to segment your market and target your audience appropriately. Bad data means embarrassing moments for you. When you employ multiple third-party platforms, you might have a lot of data, but none of it is truly connected. Now you have to ask yourself: What data is right? Should I merge data or will that overwrite what I have in another system? Is the data recorded consistently or will I have to clean that data before importing it somewhere else? These are very important and critical questions for a marketer using too many platforms. Wouldn’t it just be easier if you just had one integrated data set? With so much to do, we cannot afford to indulge in activities that could be either automated or eliminated altogether. Having multiple platforms means extra work for you and your team. First, someone has to learn how to properly use the platforms. Next comes implementation. Marketing software implementation vary in complexity. With some platforms, you can get up and running in no time, while other more sophisticated technologies, like marketing automation, take a major investment from your team. Multiple implementations could be costly, complicated, and arduous for your team. Then, if you’ve managed to deal with all of that, you still have to figure out how to integrate them altogether so they speak to each other. Programs like Zapier are great for this if the platforms don’t have native integrations, but even with Zapier, you have to maintain and manage your zaps and make sure the data flowing in and out of your platforms is accurate. If you have more than 3-4 systems, this could become a hassle…quickly. Without an accurate 360-degree view of your customer, it becomes a lot harder to understand who they are, what they want, and how they react to your organization. With too much unstructured data flying about, you increase the risk of costly mistakes, including a fragmented customer experience. The customer experience should be seamless, especially if you want to compete in 2017. Kinks in your internal process will be reflected in your external experiences. If you have been able to completely harness your #martech and you successfully drive results with multiple platforms, tip of the hat to you. Not to say that it isn’t possible, it just takes a lot of resources, resources that small to mid-sized business don’t always possess. If you are strapped for resources, or are really looking for efficiency in your processes and strength in your data, then you need to find a system that one, meets all of your requirements, and two, natively integrates CRM, marketing, and operations data. Why? Because now the majority of your team works in one platform, with access to consistent data. I am not saying you will not need other platforms to accomplish specific tasks, but if you want to keep your stack from teetering, I suggest investing in a strong foundation, a complete CRM and marketing automation platform. Your contact database, email marketing, and campaigns all reside in the same software. Increase in productivity because you are no longer wasting time exporting and importing. Increase in revenue because you are no longer paying for 5+ platforms and you can actually properly manage and execute your marketing campaigns. More closed deals because sales has all of the data and information they need about their leads and clients. Happier customers because of happier employees and because they no longer have to wait for better days when it comes to you taking care of their needs. These are just a few benefits you might see when you invest in integrated #martech. To conclude, us marketers live an overstimulated, oversaturated professional life, but it doesn’t have to be this way. You don’t have to be that marketer struggling to make sense of it all. Let your technology work FOR you, not you for it. Don’t let your #martech stack get too high. As the saying goes, the higher you go the further you fall.